Durable Taslan nylon shell, micro-mesh lining, wind & water resistant. 12" zipper closure up to stand up collar. Vented back cape with Velcro® closure, for full back decoration. Bungee cord drawstring at bottom hem with 4" zip-off tail. The player's name or initials can be embroidered on the right chest. 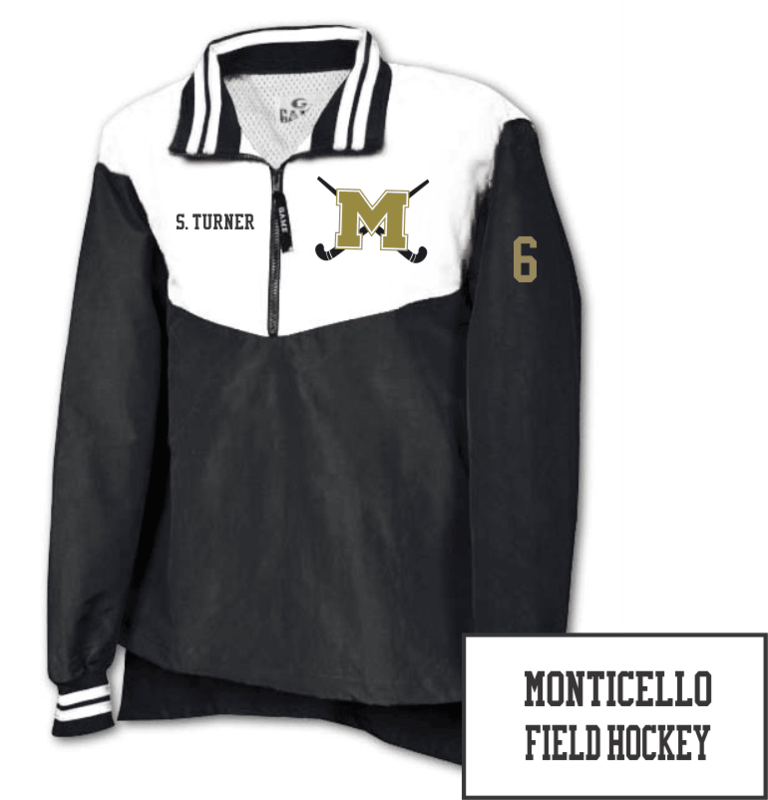 MONTICELLO FIELD HOCKEY is printed on the back of the vented cape. Add a player's number to the left sleeve.